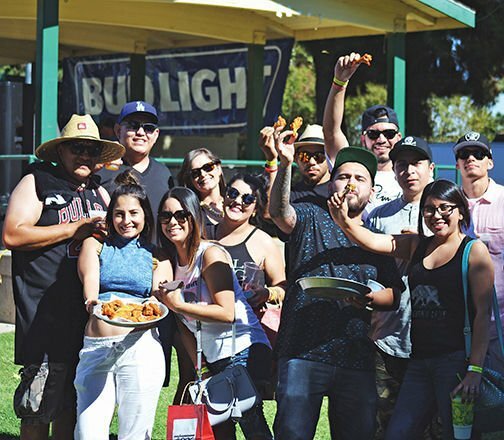 Attendees of the Bakersfield Wing Festival give cheers with wings in hand. A competitor tests his luck in front of a platter of wings as he gets ready to compete in the wing-eating contest at last year’s Bakersfield Wing Festival. Competitors chow down on wings as fast as they can at the wing eating contest at the Bakersfield Wing Festival. Enjoy them deep fried or grilled. With or without sauce. Use a napkin or lick your fingers. We’re talking wings at the second annual Bakersfield Wing Festival, back this summer at the Kern County Fairgrounds June 25. Last year’s inaugural event attracted more than 2,500 wing aficionados and this year promises more wings, more sauces and an even better time with live music and shopping vendors. Kristopher J. Evans, the event creator and lover of all things wings, thought of the festival five years ago and finally gave it a go last year with the help of NaTesha Johnson, co-founder of Upside Productions LLC. “I’m passionate about wing sauce,” Evans said, adding that his specialty is his Orange Honey for Money sauce. Although neither had ever worked on putting together a festival, the love for wings put the project into motion. Johnson said last year’s event went far beyond their expectations. But there were a few lessons to be learned. 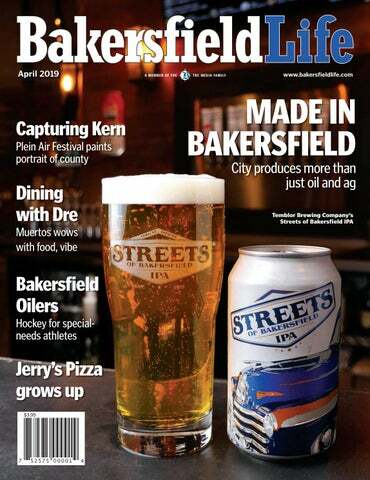 For one, they cannot control the Bakersfield heat. Instead of having the festival early on, they have played it safe this year and with blessings from Mother Nature, it will be an enjoyable summer evening. Another challenge that attendees brought up were the lines to get wings. There were nine wing vendors last year, including Wingstop, Buffalo Wild Wings and Hooters. But this year, more than 15 wing vendors have already registered. That means more wings. Including vegan wings. Yes, you read that right. You can thank the cooks at The Hens Roost for that one. Back this year is bragging rights for the crowd favorite, wings of the year, the spiciest and hottest and a few other trophy opportunities. Plus, the all-time favorite wing-eating contest for the person feeling brave enough to eat as many wings as they can in two minutes. Evans said he’s also thinking of introducing the heat-based challenge to see who can be named the king or queen of eating wings drenched in the hottest sauce. While the festival is all about the wings, there’s also another and maybe the most important face to it: the charity component. The festival will be donating a portion of the proceeds to the Alzheimer’s Disease Association of Kern County and Grandma Whoople, a nonprofit anti-bullying campaign. Last year, the ADAKC received $4,000 and $1,000 went to Grandma Whoople. Alzheimer’s and dementia have touched the lives of Johnson and Evans on a personal level and they both feel passionate about the work the ADAKC continues to bring to the community. And that giving component is the best part of the food festival culture, Johnson noted. Where: Kern County Fairgrounds–Budweiser Pavilion, 1142 S. P St.